Freebies make any experience that much better and online casinos are no different. Before you register, make sure you know just how to claim any bonuses that are on offer. You will likely have your favourite games and activities when it comes to playing at an online casino. It may be one re more of sports, poker, or slots and the like. The good news is that you can use your bonus in any of these games. Those new to Mr Green online casino are afforded the opportunity to double their money at a cash value of up to 100€ and 350 free spins when making their initial deposit. They can also choose 2x 25€ Free Bets when placing a bet of 20€ or more on their favourite sport, as long as the odds are at least 1.80. 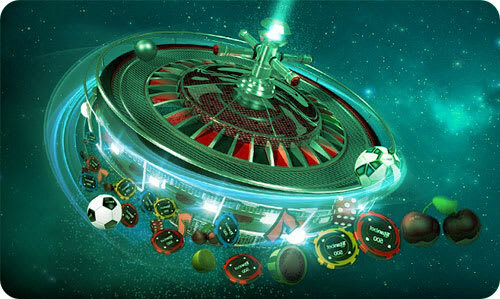 Even down the line, you will be able to claim a number of free bonus spins on Mr Green’s exciting slots. How can you spot a good Casino Bonus? There are various types of online casino bonus. There are those that require little or no rollover and those that provide extra buck for your bank. There are numerous casino bonuses today so it’s smart not to just accept the first one that you see. You should instead do some basic maths and choose the bonus that will be the biggest friend to your pot. Never say “no” to any free offers when they are made to you. There are numerous other types of bonuses that you can benefit from, too. The welcome bonus has become something of a tradition among both sportsbooks and casinos. It’s an incentive to new players when registering with a new casino. Sometimes rewarded in the form of loyalty points, the majority of welcome bonuses provide actual cash value or offer the chance to new players to enjoy a free period before exposing any of their own cash to risk. Most of these bonuses match the player’s first deposit. So, if you signed up and deposited 25€, you would receive 25€ from the casino, to take your bank up to 50€. These are often the best bonuses from online casinos. A rollover requirement aside, there are no downsides to these types of bonuses. They are as advertised: Free! 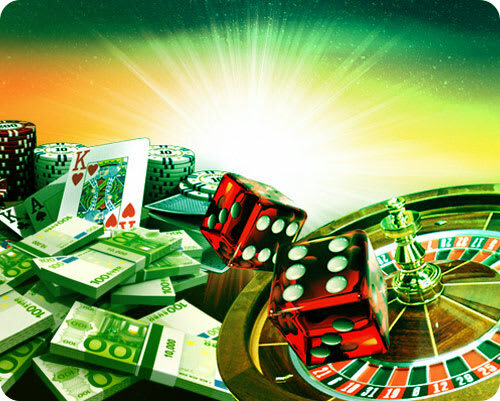 To help ease you into a particular online casino and help improve your chances of winning, you will frequently be presented with the opportunity to enjoy free spins on the slots. Should you lose, it’s the casinos’ money that’s been lost, rather than your own. Should you win, however, that money belongs to you. That’s also the case with free bets, often offered on such sports as tennis and football. Whenever you see a free bet after having logged in, make sure to accept it. The sportsbooks and online casinos market is highly competitive and so you might just end up being offered a 100% free bonus without being asked to even make a deposit. This works just like a welcome bonus without any need to deposit funds of your own. All you need to do is sign in to the casino and accept your free bonus when you see it. It will then be immediately made available for you to play with. Most people bet on their mobile device, and thanks to Mr Green’s mobile casino and app, it’s the simplest and fastest method of grabbing your bonuses and making your bets. There are also plenty of ‘mobile only’ bonuses available, in addition to other online bonuses so ensure that you at least occasionally use your mobile device to log in to your account. In addition to welcome bonuses, online casino members are frequently offered matched offers on future deposits. If you reload your account by a certain amount, the casino may match that by 100% to get you back in to the swing of things. Offers like this will come with a rollover requirement, so you’ll want to be aware of what’s involved e.g. if it’s a 3X rollover requirement and you have been given a bonus of 30€, you’ll be obligated to bet 90€ before you can transfer any money from your account as cash. If you’re one to flash the cash, you might just be rewarded with extra bonuses. The more you bet, the closer you are to being eligible for rewards such as loyalty points, prizes, and sometimes, cash. High rollers play large stakes and are rewarded at the poker tables more often than other players. So, if you’re a card player, you’d be wise to sign up to any of the high roller loyalty programmes. You’ll need to find a bonus that works in your favour. Various offers are proposed for table games, slots, or card player so ensure that you choose the one that fits your favoured kind of games. Not every offer is automated so you’ll want to opt in to any that aren’t and always check on rollover requirements before making your initial bet. In addition to ensuring that you are benefiting from your experience with Mr Green, it’s also important to keep up-to-date with any relevant terms and conditions, which you can read here.